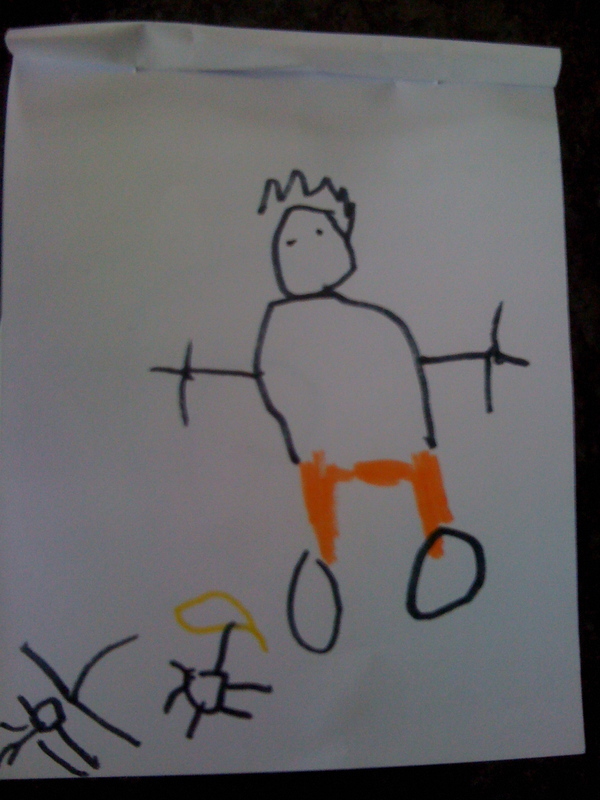 Big Brother drew a picture in school today of someone he kept referring to as “Fancy Pants”. His teachers, attempting to label his artwork for him, were likely taken aback. 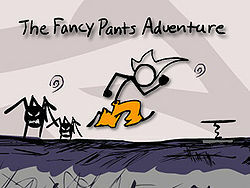 Perhaps they may have viewed “Fancy Pants” as a somewhat derogatory expression, seen the picture and pegged us as snobs. Or, thought that perhaps we make fun of people and use judgmental names in the presence of our children. Here’s Big Brother’s picture. But, had they judged us as bad parents for teaching our children a few teasing nicknames (such as “Fancy Pants”) they would have had us all wrong. All wrong. No. We absolutely refuse to be judged like that. Now, had you accused us, instead, of letting our son play too many computer games like this one we may have played now and then?! Ummm, ok. Well, then, you might actually have a point.